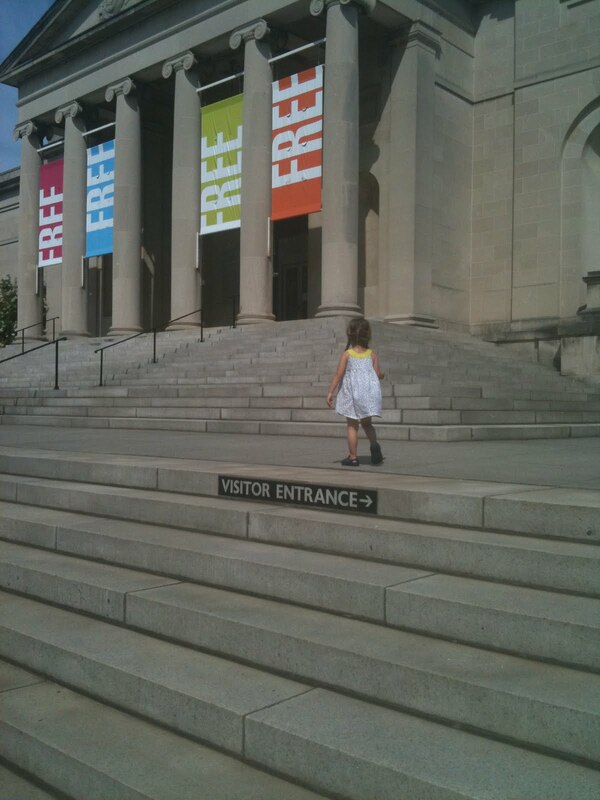 This morning we took a trip to the Baltimore Museum of Art. I often think of this as a place to go on too hot days or in the winter but today we spent a good part of out trip outside playing in the sculpture gardens. 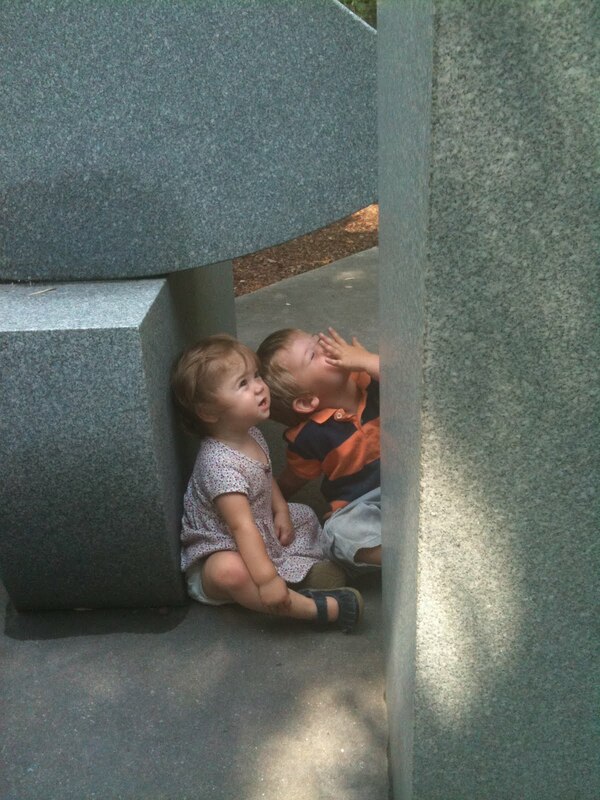 The sculpture garden is a shaded, lovely place for an adventure or a good game of hide and go seek. We met our friends there, but there were a few other kids (because who else goes to the museum at 10am on a Friday) playing there too.